Here at Fiat of Tacoma, we believe that small vehicles should still offer substance. That’s why we’re proud to tell you about the stylish and subcompact 2016 Fiat 500. You already know the 2016 Fiat 500 is special–now you can compare the 2016 Fiat 500 with the 2016 Nissan Versa to see how the 2016 Fiat 500 stands out from the competition. Once you’ve started your research here, head to Fiat of Tacoma to experience the 2016 Fiat 500 for yourself! When you’re navigating the busy roads of Tacoma, Seattle, and surrounding areas, you need a vehicle that’ll fit in the crowded streets and tight parking spots. Luckily, the ultra-compact 2016 Fiat 500 is smaller than the Nissan Versa by most measures, which makes it better designed for tight urban spaces. Despite its smaller dimensions, the 2016 Fiat 500 offers more maximum cargo space than the Nissan Versa, thanks to 50/50 split folding rear seats. Of course, the 2016 Fiat 500 is more than just versatile space–you’ll love available features like 15-inch alloy wheels, fog lamps, leather-wrapped steering wheel, and more. 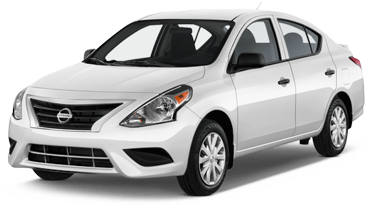 Comparing the performance of the 2016 Fiat 500 and the 2016 Nissan Versa is simple–if you’re looking for a compact vehicle, you’re looking for efficiency, and the 2016 Fiat 500 offers greater fuel economy than the 2016 Nissan Versa. With its 1.4L engine and 5-speed manual transmission, the 2016 Fiat 500 earns an incredible 31 mpg city and 40 mpg on the highway. 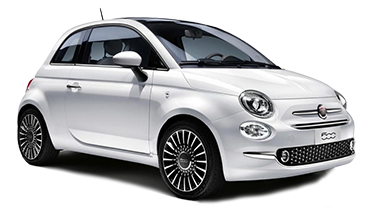 The power output is competitive between these two vehicles so with the efficiency edge, the 2016 Fiat 500 is the clear choice. Comparing available features can often come down to preference but it’s easy to prefer all the features and safety equipment of the 2016 Fiat 500 over the 2016 Nissan Versa. That’s because the 2016 Fiat 500 features four-wheel antilock disc brakes (the Versa only has front discs and rear drums), hill start assist, stability and traction control. Depending on trim level, the Fiat 500 can also be well appointed with incredible features like an upgraded six-speaker audio system, available navigation, and more. Whether you’re coming from Kirkland, Bellevue, or any nearby Washington city, you’ll find the intersection of savings here at Fiat of Tacoma! To help you narrow down your search for the perfect new vehicle, we went ahead and compared some of our new Fiat models with the competition. Get the information you need here in our new model descriptions, then check out any offers we have available in our new Fiat specials. Choosing low lease payments or great financing is easy thanks to our accommodating sales team but that’s not all we do–we also offer fantastic savings on vehicle maintenance with our service specials and our full inventory of Fiat parts. If you’re ready to schedule your test drive, contact us at (253) 830-5700 and come by and see us at 3740 S Tacoma Way, Tacoma, WA 98409–our service is worth the trip from Renton and Federal Way, Washington!